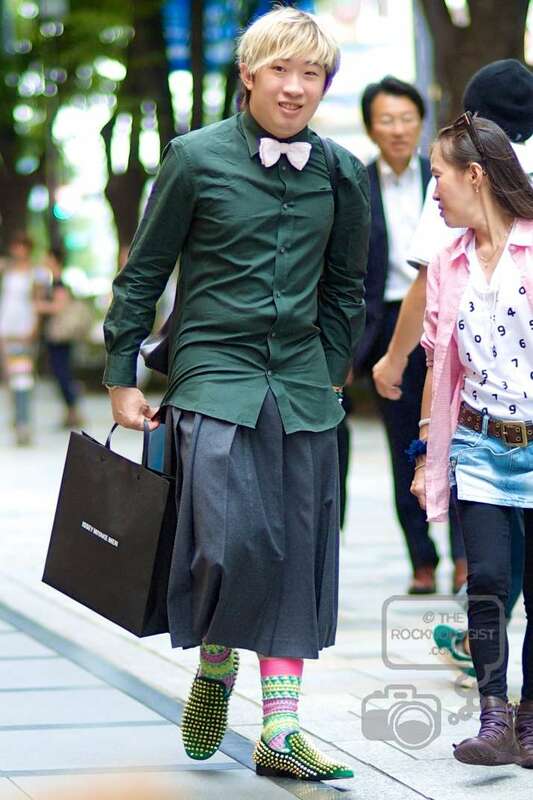 his outfit caught my attention with the green shirt & white bow-tie, wearing a skirt and green studded Christian Loubutin shoes… didn’t like the goofy socks through!! 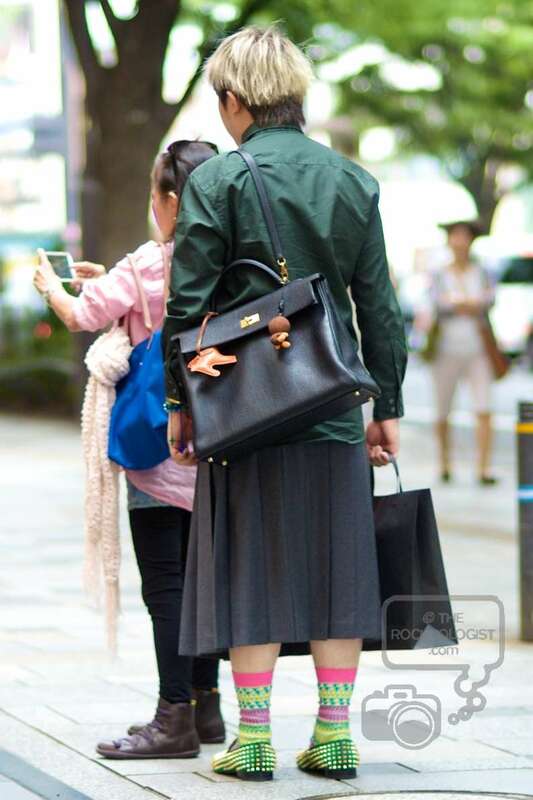 This entry was posted in Designer Bags, Designer Shoes, Men and tagged Asian fashion, Christian Louboutin shoes, Designer Bags, designer shoes, fashion, fashion blog, Japanese clothing, Japanese fashion, Japanese style Omotesando, Photography, Scarves, street fashion, street style, Tokyo fashion, Tokyo shopping, Tokyo style. Bookmark the permalink.